There’s a kid in each one of us! 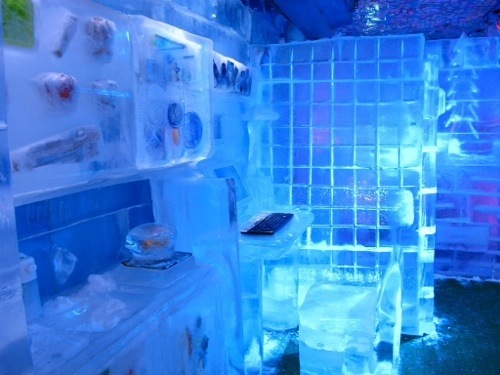 And families traveling to Korea with kids would typically include trips to Everland Theme Park or Lotte World, as well as visits to cute-sy museums like the Teddy Bear and Trick Eye Museums. 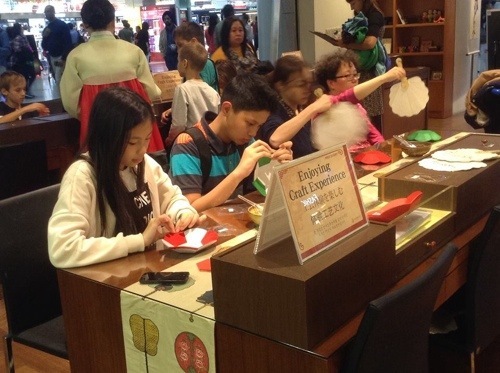 We crafted one that includes many of these typical visits and threw in a few more activities for the young travelers. 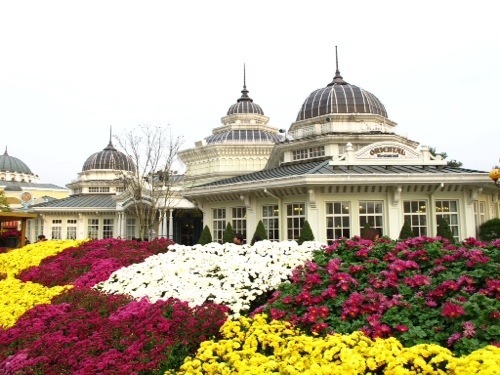 Everland Theme Park , Korea’s very own “Disneyland”. 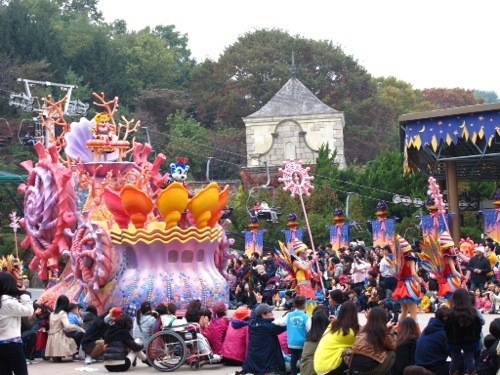 The Everland parade is definitely world-class. Rides, parades, much like one expects to enjoy in Disneyland. But this ….. with an asian flavor. And for the life of me, I am sooo intrigued over the korean fascination with teddy bears. We visited one, but the kids in our family have clearly outgrown them teddy bears. Just the same, trust the Koreans to excel in their branding and marketing skills. Plus they sure have the knack for cute-sy stuff : K-pop, Gangnam, K-Fashion, Gwiyomi, etc. Interestingly, many of these tourist sites were “created” or made popular by popular korean television dramas and movies. 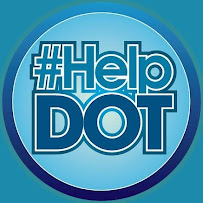 I wouldn’t be surprised if the Koreans start marketing their popular brands of cars, appliances and songs via entertainment medium like television and films. That is, if they haven’t yet. 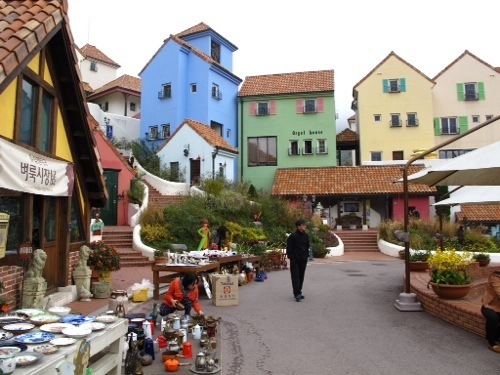 Petite France is like a French village where a number of korean TV drama series were filmed. It is now used as a youth training facility. 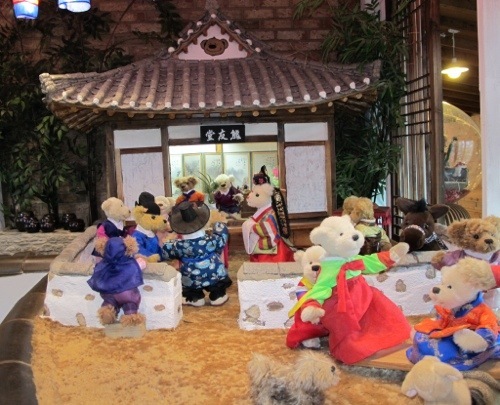 One of MANY , yes many, Teddy Bear Museums in Korea. But there’s a couple more that the kids in our group enjoyed. 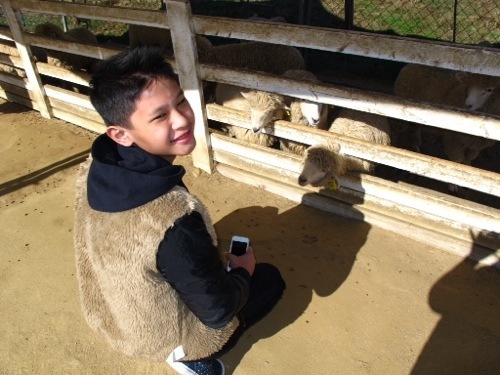 The visit to the Wind Village where we fed sheep and made ice cream manually comes to mind. It helped that the one teaching us how to manually make ice cream using only ice, some flavor powders and milk was so funny and full of energy. Under different circumstances, perhaps even with different company, that afternoon activity couldn’t have been as much fun. 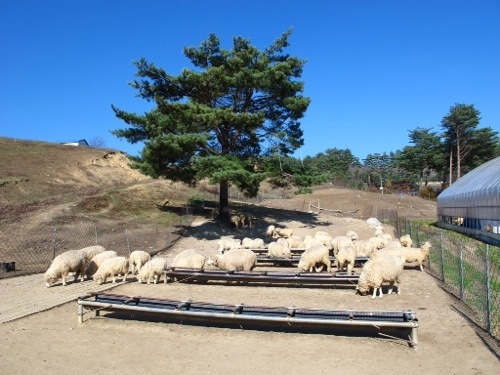 The resident sheep in Wind Village. 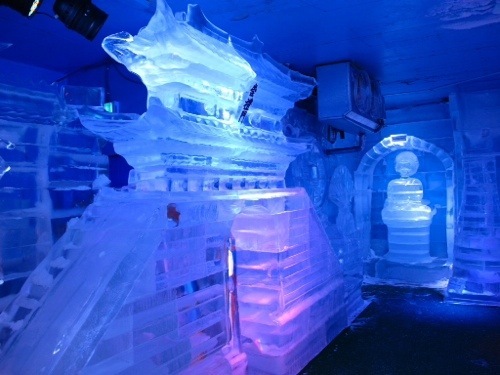 Ice sculptures on display in Seoul’s Ice Gallery. 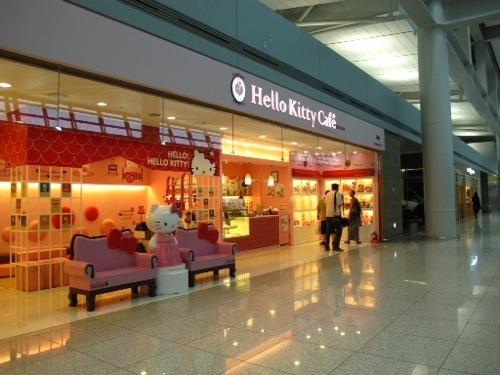 Learn Korean Paper Craft right inside Incheon Airport. 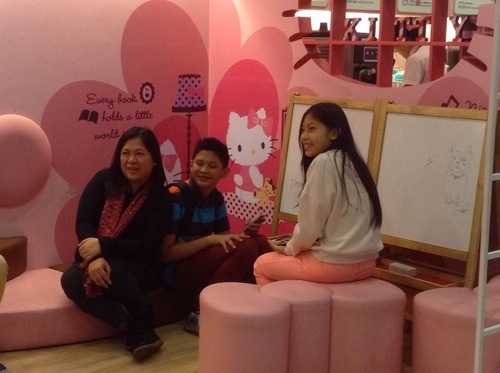 Hello Kitty not too far from Charlie Brown Coffee Shop. How can you resist it? Be sure to go early so you can explore Incheon Airport. What a pleasant surprise! 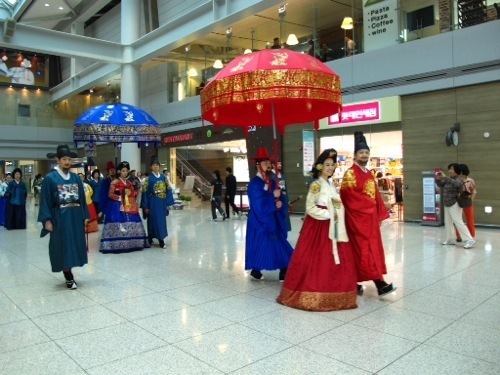 A mini-parade right within Incheon Airport premises.